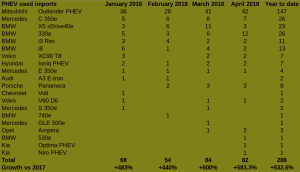 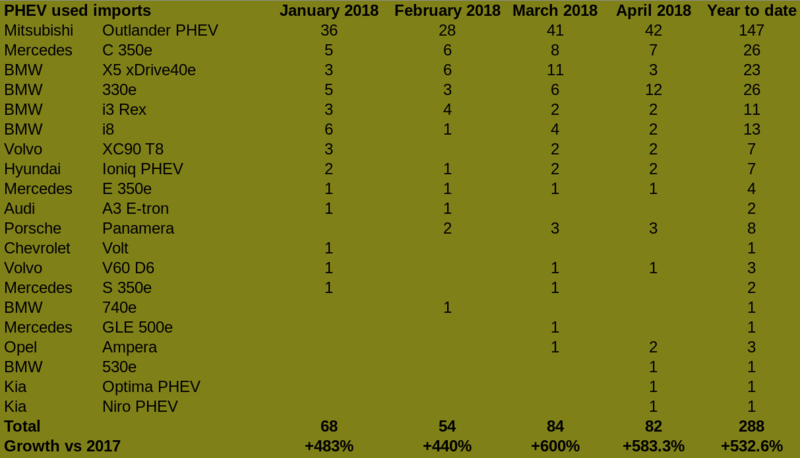 As for previous months, PHEV sales are extremely dynamic compared to last year, with 77 new cars sold (+670%) and 82 used cars imported (+583%) in April. 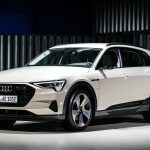 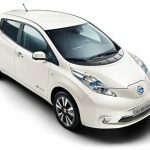 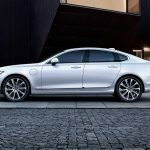 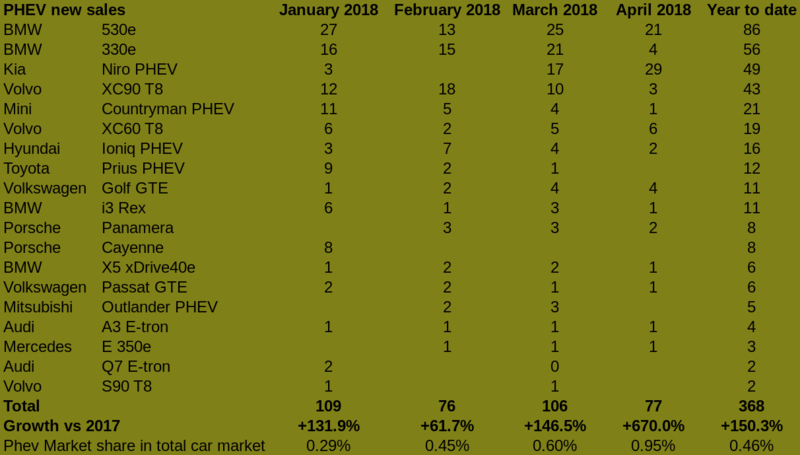 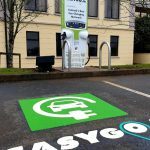 New PHEV account for 0.95% of the total car market, which added to the 1.75% market share for BEVs last month, can makes us think a shift is happening in people’s purchase habits : one every 37 new cars sold in April had a socket ! 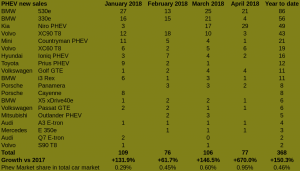 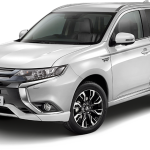 New sales are this month dominated by the new Kia Niro (29 units sold) whereas the Mitsubishi Outlander is still on top of the used imports.